MAXON announces the next-generation of its industry-leading software at SIGGRAPH 2016. MAXON has announced Cinema 4D Release 18 (R18) at SIGGRAPH 2016, the latest update to its 3D animation, graphics, VFX, visualisation, and rendering software. The R18 version of Cinema 4D includes several new tools as well as some improvements to existing tools to give creative pros even more power at their fingertips whether they're in digital production for TV, film, games, architecture, advertising or design. Object Motion Tracking – the next evolution in MAXON's effort to give artists accessibility to dynamic VFX and visualization workflows with expanded tools for integrating Cinema 4D creations into real-world footage. Substance Engine Integration – download compiled Allegorithmic Substances and utilise them to surface your Cinema 4D objects. This fully-integrated implementation offers outstanding workflow and flexibility, plus options to cache Substances on disk for better performance. Probably the most exciting update is the addition of fracturing, which means an end to the requirement of a plugin for this feature. The new Voronoi Fracture generator is a MoGraph generator and brings full support for effectors and all other MoGraph features, plus it has support for many different point generators (Point Generator, Object, Spline, Particles, MoGraph Matrix, Shader, etc) to define the fracture pattern. You can see it in action in the video below. For a full list of new and updated features in Cinema 4D R18, head to MAXON's website. At the announcement, CEO of MAXON Harald Egel said: "MAXON continues to build upon its 30-year legacy of empowering our existing and new customers with unprecedented performance and accessibility for streamlining and simplifying design workflows. "Cinema 4D Release 18 builds upon that foundation with powerful new tools and refinements so that creative professionals can successfully handle the demands required in today’s motion graphics, VFX and visualization environments." 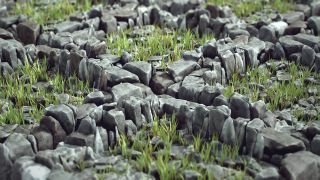 MAXON has released a short animated film, Versus, to demonstrate the power of Cinema 4D R18, plus a making-of video (below). Cinema 4D Release 18 will be available for Mac OS X, Windows and Linux in September 2016. Keep an eye on MAXON's website for complete pricing and upgrade information in the coming days.